As a homeowner, when purchasing a tankless water heater in Chandler, AZ, you need to consider cost of the unit and the size of your family. 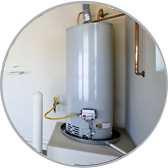 Most water heaters vary in cost due to SEER rating, their size and brand. Therefore, you need to consider purchasing, installation and maintenance cost of the unit. The size of your family can help you determine the size you need to purchase due to hot water requirements. • Economize space – Since they are tankless, they require small installation spaces. • They last longer – with regular repair and maintenance practices, tankless water heaters have a long lifespan reducing replacement costs. • Costly – Due to their size and efficiency, these unit’s costs almost twice as much as a conventional storage tank. They are not affordable to most people although they are the best choice. It is important to note that, even though they are costly, their energy efficiency and high performance saves you a lot of money each month and eventually they will have saved you a lot. • Require skilled labor – they need professional plumbers to install and maintain them. This facilitates performance and longevity. You need to consider the piping and ventilation systems to facilitate its performance. Hiring a professional plumber may further increase installation cost! • Formation of scum – in areas where you’ve hard-water, formation of scum in tanks is common lowering the functionality of the unit. To prevent scum formation, you can install a softener while the unit is being installed to soften the water to be heated. This may further raise the cost but it is will save you a lot of money which could have been used in repair, maintenance or replacement of the whole unit. Regardless, tankless water heaters in Chandler, AZ are highly recommended due to their minimal maintenance cost, effective performance, energy efficiency and longevity.